Bradford entered a Dallas grocery store with accomplice Vandron Seymore. Bradford pulled a pistol from his waistband and shot security guard Brian Williams in the back. Next, he turned the gun toward a clerk, who ran behind some displays. He then fired three more times at Williams. Bradford was attempting to open the cash register when he yelled at Seymore to take Williams' money. Seymore took seven dollars and some personal items from Williams. They then left the store together. Bradford's girlfriend testified that just before the killing, Bradford showed her a gun and said he was leaving their apartment to "make some money". When Bradford was arrested, police found three guns, crack cocaine, and marijuana in his home. He gave police a voluntary statement, and at trial testified that he went to the store with the intent of committing a robbery. He said that his gun went off unintentionally, however, and then he kept shooting at Williams in self-defense, because Williams was reaching for a gun. The prosecution's main evidence was the recording of the shooting and robbery made by the store's security camera, which showed Bradford shooting Williams in the back without warning. At the time of the murder, Bradford was on parole for a robbery conviction two years earlier. Chicken with jalapenos, peanut butter cake, butter rolls, two steak and cheese omelets, hash browns and ketchup, and a root beer soda. Prior Prison Record: TDC #425608, rec. 7/3/86 from Dallas County, 4 Years for Robbery, paroled 4/12/88. Summary of incident: Convicted in the shooting death of 29 year old Brian Edward Williams during a robbery of Angelo's Food Store at 3021 M.L.King Jr. Blvd. in Dallas. Williams was shot 4 times with a handgun and later died of his wounds at a Dallas hospital. Bradford stole a .357 revolver, a cap, and Williams' wallet before leaving the store. He was arrested on January 3, 1989 and later gave police a voluntary statement. AUSTIN – Texas Attorney General Greg Abbott offers the following information about Gayland Bradford, who is scheduled to be executed after 6 p.m. on Wednesday, June 1, 2011. A Texas jury sentenced Bradford to death in May 1995 for robbing and killing Brian Williams. On the evening of December 28, 1988, Bradford told a girlfriend he was going to make some money. The girlfriend guessed Bradford was going to rob somebody. Later that evening, or in the early morning of December 29, 1988, Bradford entered a grocery store and repeatedly shot security guard Brian Williams. Bradford told an accomplice to take the fatally wounded guard’s money. The accomplice took seven dollars and some other personal items from the guard. Bradford and the accomplice left the store without taking anything else. The store’s security camera recorded these events. The guard died about an hour later. Bradford later confessed he went to the store “to get some money.” He also confessed to shooting the guard. During the guilt phase of his trial, Bradford testified that he intended to commit a robbery. In the punishment phase of the trial, the State produced evidence that Bradford possessed a violent nature and posed a continuing threat to society. A Dallas police officer testified that based on his contacts with Bradford between 1983 and 1986, Bradford had a reputation for not being peaceful and law abiding. A former West Dallas police officer testified he had contact with Bradford about twenty-five times and that Bradford had a reputation in the community for not obeying the law. A woman testified about a September 1984 criminal trespass during which she awoke to find Bradford standing beside her bed. He asked her to let him get in bed with her. She instead went to tell her stepfather of Bradford’s uninvited intrusion. By the time she returned with her stepfather, Bradford was gone. A juvenile probation officer testified that she was assigned the probation file for Bradford’s juvenile conviction of criminal trespass regarding the incident with the woman. She testified that neither Bradford nor his family attended either orientation. The probation officer further testified that Bradford and his family failed to appear for a required orientation meeting regarding the same incident after a second referral in June of 1985. Finally, the probation officer testified that the juvenile criminal trespass was not pursued by the district attorney because, by the time it was received, there was then a pending adult charge for burglary of a building against Bradford. A Dallas police officer testified that she responded to a March 1986 call about a burglary of a school building. The officer, along with another officer, arrested Bradford and another individual following a chase. Bradford was placed on probation for the burglary. A probation officer testified that Bradford violated his probation numerous times. He further testified that Bradford did nothing to improve his station in life even though the probation officer tried to work with him. Bradford’s probation was revoked for a new aggravated robbery which he committed on April 30, 1986, while using a knife. Bradford’s probation record shows that he received four years in prison for the burglary of a building and two years in prison for his robbery conviction. A warden testified that Bradford incurred numerous disciplinary infractions while in state prison. The warden testified that one incident involved Bradford being charged with, and found guilty of, inciting a riot and fighting without a weapon. In the incident, Bradford and another inmate assaulted a third inmate. On another occasion, Bradford was found guilty of being involved in a riot in state prison between black and Hispanic inmates in which several inmates were injured. The warden also testified to other incidents of disciplinary action and finally stated that Bradford’s records demonstrated a continuing course of action to violate disciplinary rules and cause trouble within the penitentiary. Bradford’s parole officer testified that Bradford failed to report on some occasions and had not paid any of the restitution that he was required to pay. He further testified that he and another individual personally paid Bradford’s trade school enrollment fee and provided Bradford with transportation to appointments at the trade school. Nevertheless, Bradford did not enroll in the trade school until August 31, 1988, and in December 1988, the parole officer discovered that Bradford had quit attending. A Dallas police officer testified that he assisted in Bradford’s arrest for the capital murder of Brian Williams. The officer stated that during Bradford’s arrest, he found two guns in the dresser drawer in the same bedroom where Bradford had been sleeping. A total of three weapons, a baggie of crack cocaine and two marijuana cigarettes were confiscated by officers. A woman testified that a few days after the shooting of the security guard she heard Bradford bragging about the shooting, telling a group of boys that he did not “give a damn” and that he had thrown the murder weapon in a lake. She also testified that on the night of Bradford’s arrest, she viewed the videotape of the offense and identified Bradford in the tape as the shooter. Henry Cosby testified that while he was in the county jail in 1989 on a burglary charge, he was introduced to Bradford and that Bradford admitted that he had committed a robbery and that a security guard was shot. Cosby further stated that Bradford showed no remorse. Cosby also testified that on another occasion, Bradford had offered him $15,000-20,000 to have the witness who turned in the victim’s gun killed. Tommy Adams testified that while he was in jail, he came into contact with Bradford and that Bradford stated that he was going to kill a man who Bradford believed had “snitched” on him for killing the security guard. Adams also testified that Bradford bragged about the capital murder and showed no remorse. 12/28/88 - Bradford killed Brian Williams. 01/10/89 - A Dallas County grand jury indicted Bradford for capital murder. 02/09/90 - A Dallas County jury convicted Bradford of capital murder. 06/09/93 - The Texas Court of Criminal Appeals reversed the conviction, ordering a new trial. 10/11/94 - The Supreme Court denied the State’s petition for certiorari. 05/15/95 - Bradford was re-convicted of capital murder. 02/17/99 - Bradford’s conviction and sentence were affirmed by the Texas Court of Criminal Appeals. 06/08/99 - Bradford filed an original application for a state writ of habeas corpus. 10/18/99 - Bradford’s petition for writ of certiorari to the United States Supreme Court was denied. 03/08/00 - The Texas Court of Criminal Appeals denied state habeas relief. 12/14/02 - Bradford filed a petition for a federal writ of habeas corpus. 01/16/03 - Bradford filed a successive state writ alleging mental retardation. 09/15/04 - The Texas Court of Criminal Appeals denied habeas relief. 10/18/04 - Bradford refiled his federal petition with a Dallas federal district court. 05/05/08 - The federal court denied habeas relief and issued final judgment. 02/17/10 - The United States Court of Appeals for the Fifth Circuit affirmed the denial. 03/26/10 - The court of appeals denied Bradford’s petition for rehearing by the full court. 05/20/10 - The Dallas County trial court scheduled Bradford’s execution for Thursday, October 14, 2010. 10/08/10 - The Supreme Court stayed Bradford’s execution. 01/18/11 - The Supreme Court denied Bradford’s petition for certiorari review. 02/25/11 - The Dallas County trial court rescheduled Bradford’s execution for June 1, 2011. 04/11/11 - Bradford filed a motion for rehearing, and application for stay of execution. 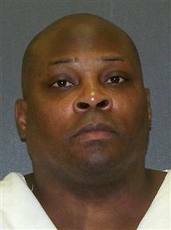 Gayland Charles Bradford, 42, was executed by lethal injection on 1 June 2011 in Huntsville, Texas for the robbery and murder of a store employee. On 29 December 1988, Bradford, then 20, entered a Dallas grocery store with Vandron Seymore, 21. Bradford pulled a pistol from his waistband and shot security guard Brian Williams, 29, in the back. Next, he turned the gun toward a clerk, who ran behind some displays. He then fired three more times at Williams. Bradford was attempting to open the cash register when he yelled at Seymore to take Williams' money. Seymore took seven dollars and some personal items from Williams. They then left the store together without taking anything else. Williams died in the hospital about an hour later. Bradford was arrested on 3 January 1989. Police found three guns, crack cocaine, and marijuana in his home. He gave police a voluntary statement. At his trial, he testified that he went to the store with the intent of committing a robbery. He said that his gun went off unintentionally, however, and then he kept shooting at Williams in self-defense, because Williams was reaching for a gun. The prosecution's main evidence was the recording of the shooting and robbery made by the store's security camera, which showed Bradford shooting Williams in the back without warning. Bradford's girlfriend also testified that just before the killing, Bradford showed her a gun and said he was leaving their apartment to "make some money". Bradford's criminal history began in 1984, at age 15, when he entered a sleeping woman's home and asked her to let him get in bed with her. In early 1986, he was placed on 4 years' probation for burglarizing a school building. That April, he used a knife to commit aggravated robbery. His probation for the burglary sentence was revoked, and he was also given a 2-year prison sentence for the robbery conviction. He was in prison from July 1986 until April 1988, when he was released on parole. A jury convicted Bradford of capital murder in February 1990 and sentenced him to death. The Texas Court of Criminal Appeals overturned his conviction in June 1993, ruling that the trial court improperly denied psychiatric testimony obtained by Bradford's lawyers. He was given a new trial, and in May 1995, he was once again convicted of capital murder and sentenced to death. In June 1997, the Court of Criminal Appeals abated Bradford's second death sentence, but it reinstated and affirmed it in February 1999. All of Bradford's subsequent appeals in state and federal court were denied. Vandron Seymore was convicted of aggravated robbery with a deadly weapon and sentenced to 42 years in prison. He served 12 years, then was paroled in 2002. Public records do not show any criminal convictions for him since then. Bradford's execution was attended by Williams' mother and brother. The only person attending on Bradford's behalf was his friend, Noel Martin. "Noel, I love you, man," Bradford said to him in his last statement. "You have been there for me, through thick and thin ... I am at peace. We have no more worries, just as I have no more worries. To the victim's family, may you be at peace, also." The lethal injection was then started. He was pronounced dead at 6:25 p.m.
AUSTIN, Texas (Reuters) - Texas on Wednesday executed a man who shot and killed a security guard during a 1988 robbery at a Dallas grocery store. Gayland Bradford, 42, was the fourth person executed in Texas this year and second put to death using a new drug, pentobarbital, which is often used to euthanize animals. Bradford died at 6:25 p.m. local time, nine minutes after the drug was administered, said Jason Clark, spokesman for the Texas Department of Criminal Justice. On December 28, 1988, Bradford told his girlfriend he was going to make some money, showing her a gun before he left her apartment with two other people, according to a report by the Texas attorney general's office. Later that night, he went to a grocery store and shot store security guard Brian Williams in the back. Bradford then took the guard's gun and shot him repeatedly while he was on the ground, according to the report. Bradford told an accomplice to take Williams' money, which turned out to be only $7. The accomplice also took personal items from Williams, including his hat and pipe. Williams died about an hour later, the report said. According to the report, Bradford and the accomplice left without taking anything else. The store's security camera recorded the events and Bradford later confessed he went to the store to "get some money," and that he shot the guard, the report said. Before his death, Bradford said he was at peace and that he had no worries. "Victim's family, may you be at peace also," he said. Bradford's last meal was chicken with jalapenos, peanut butter cake, butter rolls, two steak and cheese omelets, hash browns and ketchup, and a root beer soda. Bradford's execution was the 20th in the United States this year. There are three more executions scheduled this month in Texas, where more than four times as many people have been executed as any other state since the death penalty was reinstated in the United States in 1976, according to the Death Penalty Information Center. HUNTSVILLE — The convicted killer of a Dallas food store security guard was put to death Wednesday after spending most of his life in prison. Gayland Bradford, 42, was pronounced dead at 6:25 p.m. Wednesday, just 10 minutes after giving his final statement. Martin cried at the mention of his name. Associated Press described the family of victim Brian Edward Williams as “stoic.” William’s brother, mother and friend held their arms around each other in observance. Martin was consoled by a chaplain in training, as Bradford coughed and snored into silence. 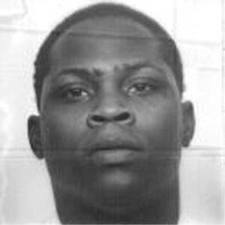 Bradford was already on parole for a robbery conviction two years prior, when he was arrested for gunning down 29-year-old Williams in December 1988. Security cameras showed Bradford left the food store with $7 and a few of Williams’ belongings. He was arrested less than a week later, just two days after New Year’s Day 1989. “It was just about the most chilling video you'd ever see," said Dan Harold, a former Dallas County district attorney who prosecuted the case. "Bradford walked in, turned right, walked up behind the victim and shot him, just shot him. "No fight, no struggle, no 'put your hands up.' Just shot him and the victim fell to the floor." When Bradford was arrested for the shooting, police found marijuana and guns in his room. He also was carrying two plastic bags of crack cocaine when he was booked. Bradford, whose testimony showed he bragged about the killing to a girlfriend, had two trials. His first conviction in 1990 was thrown out by the Texas Court of Criminal Appeals, which found the trial judge made an error regarding psychiatric testimony. Bradford was retried in 1995, convicted and again sentenced. Last week, the U.S. Supreme Court refused to look at an appeal the justices rejected earlier this year, and Bradford's lawyer says all appeals had been exhausted, according to Associated Press. Bradford never received a high school diploma and first went to prison for robbery just two weeks before his 18th birthday. His final meal request included chicken and jalapenos, peanut butter cake, butter rolls, two steak and cheese omelets, hash browns with ketchup, and a root beer. Bradford’s execution was the 20th in the United States this year and the fourth in Texas, where more than four times as many people have been executed as in any other state in the country since the death penalty was reinstated in 1976, according to the Death Penalty Information Center. There will be three more scheduled executions this month and at least nine more are scheduled this year. HUNTSVILLE — With his back turned while he wrote on a piece of paper, security guard Brian Williams never saw Gayland Bradford come up behind him at a Dallas grocery store. As seen on a surveillance video, Bradford pulls a pistol from his waistband, says nothing and shoots the 29-year-old Williams in the back. He turns the gun toward a store clerk, who runs behind some displays, fires three more times at Williams, then yells for a companion, who joins him in trying to take cash from a register. They left with $7 taken from Williams, who died about an hour later. It was his second day on the job. The U.S. Supreme Court last week refused to reconsider Bradford’s appeal, clearing the way for the fourth execution this year in Texas and the first of four set for this month in the nation’s busiest capital punishment state. No last-day appeals for Bradford were planned, his lawyer, Mick Mickelson, said Tuesday. “He’s going to be executed,” Mickelson said. Bradford was 20 at the time of the Dec. 29, 1988, shooting at the store a few miles south of downtown Dallas, and was on parole for a robbery conviction. In a confession to police, he contended that he acted in self-defense, that his gun went off and he feared Williams was trying to get his own gun and shoot him. The video, however, contradicted his version of the shooting. Bradford had two trials. His first conviction in 1990 was thrown out by the Texas Court of Criminal Appeals, which ruled that the trial judge in the case improperly denied psychiatric testimony obtained by Bradford’s lawyers. He was tried a second time in 1995, convicted and sentenced again to death. Last October, he won a Supreme Court reprieve about a week before he was scheduled for execution when his attorneys argued that his trial court appointed an inexperienced and underqualified lawyer to handle some of his earlier appeals. In January, the justices rejected the appeal. Last Friday, they refused to reconsider their decision. Court records showed Bradford, who told a psychologist he began drinking alcohol in the seventh grade and had about four or five beers daily, was building a criminal record even before he went to prison for robbery. Police told of dozens of contacts with him on the streets of Dallas, where Bradford was known as “G-Man.” One woman testified how he slipped into her home and tried to get into her bed before running off when she alerted her stepfather. Other testimony at his trial showed that while in prison on the robbery conviction he incited one riot and was involved in another. Police who arrested Bradford for the Williams slaying found marijuana and guns in his room. Detectives who booked him found he was carrying two plastic bags of crack cocaine. Bradford told jurors most of the trial testimony against him came from liars. Earlier appeals rejected by the courts contended he was mentally impaired and ineligible for execution. Stop the execution of Gayland Bradford on October 14th in Texas! Gayland Bradford was convicted of the shooting death of 29-year-old Brian Williams during a robbery of a food store in Dallas on Dec 29, 1988. Williams was shot four times with a handgun and later died of his wounds. Bradford stole a .357 revolver, a cap and the victim's wallet before fleeing the store. He was arrested on January 3, 1989, and later gave police a voluntary statement. Sentenced to Death 2/90. 20 years after his trial, a Dallas County man convicted in the 1988 shooting death of a convenience store security guard has been given an execution date. Gayland Charles Bradford, now 41, was sentenced to death in 1990 for the slaying of Brian Edward Williams at Angelo's Food Store in Dallas. He's scheduled to die by lethal injection the evening of Oct. 14, 2010. The store's video surveillance system caught the murder on tape. It showed Bradford calmly walking into the store and shooting Williams in the back. After Williams fell to the floor, the video showed Bradford bending over him and shooting him three more times. Bradford stole a .357 revolver, a cap and Williams' wallet before fleeting the store, according to Texas Department of Criminal Justice documents. The gunman's girlfriend testified during the trial that the then 20 year old bragged about the incident. At the time of the murder, Bradford was on parole for a robbery conviction in Dallas County. He was sentenced to four years in prison, but was let out two years early—just eight months before the homicide, TDCJ records show. 12 Texans have been executed in 2010. Bradford will be the 7th North Texas-area offender to die by lethal injection this year. Besides Bradford, five more offenders are currently scheduled for execution this year. Convicted in the shooting death of 29 year old Brian Edward Williams during a robbery of Angelo's Food Store in Dallas. Williams was shot 4 times with a handgun and later died of his wounds at a Dallas hospital. Bradford stole a revolver, a cap, and Williams' wallet before fleeing the store. He was arrested on Jan. 3, 1989 and later gave police a voluntary statement. I am writing to you to express my concerns regarding the execution of Gayland Bradford, scheduled for October 14th in Texas. There is no doubt that this man committed a murder, but I do not believe that the death penalty will solve or accomplish anything positive. The death penalty has been proven in many research studies to fail at reducing and deterring violent crime. Fighting death with death is ineffective and demonstrates the wrong message to citizens. It condones violence and death and revenge, which is unacceptable. The death penalty is inhumane, cruel, vengeful, discriminatory, and uncivilized. Executing this man will only create more innocent victims- his family members. In addition, executions do not promote healing or restore peace to victims' families. The death penalty is also racially biased, as black individuals who have white victims, such as Bradford, are much more likely to receive the death penalty. That is unjust. I urge you to please commute Bradford's death sentence to life imprisonment. Bradford also has a grade 8 education level, which is low. This man could benefit from further education and the death penalty completely denies the possibility or opportunity for rehabilitation and self-improvement. Thank you for your attention to this urgent matter. On the evening of December 28, 1988, Gayland Bradford told a girlfriend he was going to make some money. Bradford showed her a gun. Bradford left the girlfriend’s apartment with two other people. Having known Bradford for awhile, the girlfriend guessed Bradford was going to rob somebody. Later that evening, or in the early morning of December 29, 1988, Bradford entered a grocery store and shot store security guard Brian Williams in the back and took the guard’s gun while repeatedly shooting the guard as he lay on the floor. Bradford told an accomplice to take the fatally wounded guard’s money. The accomplice took seven dollars and some other personal items from the guard, including his hat and his pipe. Bradford and the accomplice left the store without taking anything else. The store’s security camera recorded these events. The guard died about an hour later. Bradford later confessed he went to the store “to get some money” and that he shot the guard. At punishment, the prosecution produced evidence that Bradford possessed a violent nature and posed a continuing threat to society. Dallas police officer W.C. Dean testified that he was assigned to the Youth and Family Violence Division, and was stationed at Pinkston High School, which was a block and a half away from where Bradford lived. He testified that he had come into contact with Bradford on several occasions between 1983 and 1986 and had also spoken with many individuals in the neighborhood. He testified that in his opinion, Bradford’s reputation in the community for being peaceful and law abiding was bad. Saint Paul police officer Jefferey Hutchinson testified that while he was a West Dallas police officer, he had contact with Bradford about twenty-five times. Officer Hutchinson testified that Bradford was usually uncooperative. Officer Hutchinson regularly saw Bradford on the streets in the middle of the night, and he was usually with other people and appeared to be the leader of the group. He finally testified that Bradford had a reputation in the community for being a non-law-abiding citizen. A Dallas police officer testified that, on March 16, 1986, she responded to a call in which Bradford participated in the burglary of a school building. Bradford and another individual were chased and eventually arrested by the officer and her partner. Robert Nogueira testified that he was the chief probation officer for the court where Bradford was placed on probation for burglary of a building. He enumerated for the jury numerous probation violations as well as Bradford’s prior arrest for evading arrest. He further testified that Bradford did nothing to improve his station in life even though the probation officer tried to work with him. Bradford’s probation was revoked for a new aggravated robbery which he committed on April 30, 1986, while using a knife. Bradford’s probation record shows he received four years in prison for the burglary of a building and two years in prison for his robbery conviction. A warden testified regarding Bradford’s numerous disciplinary problems in state prison. One incident involved Bradford being convicted of inciting a riot and fighting without a weapon. In this incident, Bradford and another inmate assaulted a third inmate. The warden further testified that on one occasion Bradford had to be restrained by a guard with handcuffs. On another occasion Bradford was found guilty of being involved in a riot at the Clemens Unit between black and Hispanic inmates in which several inmates were injured. Bradford’s parole officer testified that Bradford failed to report on some occasions and had not paid any of the restitution that he was supposed to pay. He further testified that he and another individual paid Bradford’s enrollment fee for trade school out of their own pocket as well as provided Bradford with transportation for appointments at the trade school. Nevertheless, Bradford did not enroll in the trade school until August 31, 1988, and in December 1988, Clark discovered that Bradford had quit attending. Clark stated that he had done everything he could do to help Bradford become a law-abiding citizen, but it did not work. A woman testified that a few days after the shooting of the security guard at a grocery store, she heard Bradford bragging about the shooting, telling a group of boys that he did not “give a damn” and that he had thrown the murder weapon in the lake. She also testified that on the night of Bradford’s arrest by Dallas police, she viewed the videotape of the murder and identified Bradford in the tape as the gunman. Based on a review of Bradford’s case, Dr. John Rennebohm, a psychiatrist, testified that that in his medical opinion there was very much a probability that Bradford would commit criminal acts of violence which would constitute a continuing threat to society. He further testified that Bradford’s behavior fit that of an antisocial personality and that Bradford’s striking of prison guards shows that he is aggressive without restraint. Defendant was convicted in the 265th Judicial District Court, Dallas County, Keith Dean, J., of capital murder, and was sentenced to death. On appeal, the Court of Criminal Appeals, Overstreet, J., held that requirement that defendant submit to examination by state's psychiatrist on issue of future dangerousness, as condition for admission of defendant's psychiatric evidence on that issue, improperly forced defendant to choose between exercising his Fifth Amendment right against self-incrimination and his Sixth Amendment right to effective assistance of counsel. Reversed and remanded. Clinton, J., concurred in judgment only. Campbell, J., dissented and filed opinion in which McCormick, P.J., and White and Meyers, JJ., joined. In January of 1990, appellant was convicted, in the 265th Judicial District Court of Dallas County, of capital murder pursuant to V.T.C.A. Penal Code § 19.03(a)(2), specifically murder during the course of committing and attempting to commit robbery. The indictment alleged that the offense occurred on or about the 29th day of December 1988. After the jury returned affirmative answers to the special issues submitted pursuant to Article 37.071(b)(1), (2), V.A.C.C.P., the trial court assessed punishment at death. On direct appeal, appellant raises one hundred four points of error. The record reflects that the instant offense involved the late-night armed robbery of a grocery/convenience store. During the robbery, a store security guard was shot to death. Appellant, in a written confession, admitted shooting the guard. A store videotape recorded the shooting and confirmed appellant's confession. EXPERT TESTIMONY AT PUNISHMENT Points eleven, twelve, thirteen and fourteen all involve the trial court's refusal to allow certain expert psychiatric testimony proffered by a defense witness at punishment unless appellant agreed to be examined by an expert psychiatric witness of the State's choosing. It is undisputed that none of the psychiatric/psychological examinations in the instant cause were for the purpose of determining competency or sanity issues. During appellant's presentation of evidence at punishment, the State expressed concerns about not having the opportunity to have an expert psychiatrist of its choosing examine appellant. The State asked that appellant's psychiatric expert not be allowed to testify because the State had been denied access to examine appellant. The State requested that Dr. Rennebohm and/or Dr. Grigson be allowed to examine appellant. Appellant's witness, Dr. Wettstein, was questioned outside the presence of the jury.FN1 After questioning about his anticipated testimony, the State asked that Dr. Grigson, Dr. Rennebohm, a Dr. Turner, or a Dr. Coones be allowed to examine appellant; and that if appellant refused to submit to such, that Dr. Wettstein's testimony be disallowed. Appellant's attorneys strenuously objected to being forced to make such a choice. FN1. The proffered testimony of Dr. Wettstein focused on three areas: 1. Future dangerousness in the long term cannot be accurately predicted; 2. Appellant was diagnosed as borderline intellectual functioning; 3. Appellant was not diagnosed as having an antisocial personality disorder. Appellant's attorneys, in expressing an understanding that the trial court was going to order appellant to undergo psychiatric examination by some other psychiatrist, indicated that appellant was not knowingly and voluntarily waiving his Fifth Amendment right regarding incrimination. During the course of this discussion, appellant's attorneys again objected and insisted that imposing such a sanction denied appellant effective assistance of counsel and due process. There was then some discussion about the State not having previously filed a written motion for psychiatric examination; thus, further objection was made that the State's request was untimely and not in compliance with Articles 46.02 § 3(d) and 46.03 § 3(d), V.A.C.C.P. When the trial court mentioned getting Dr. Wettstein on to make a bill of exception, one of appellant's attorneys noted that he had seen Dr. Grigson outside, and that since the trial court's “ruling obviously cuts very deep[ly] into the defense ... by disallowing pertinent evidence to be submitted to the jury,” appellant would submit to the examination by Dr. Grigson with the proviso that Dr. Wettstein be allowed to be present and observe Grigson's examination. Though the State expressed displeasure at the prospect of Wettstein being allowed to be present during Grigson's examination, the prosecutor relented and agreed. Appellant himself, after consultation with his attorneys, also agreed to submit to an examination by Dr. Grigson with Dr. Wettstein present. Appellant's attorneys stated that it was only because of the trial court's prior ruling that they were agreeing to submit to the Grigson examination. They explicitly did not waive any previous objections. Thus, appellant agreed to submit to an examination by Dr. Grigson with Dr. Wettstein present and observing. In light of such, the trial court allowed appellant to present testimony by Dr. Wettstein which included opinions based upon his independent examination of appellant. After Wettstein's testimony, appellant, in anticipation of Dr. Grigson's examination, again objected to such “being done at the instance of the [trial court]—[that] the testimony of Dr. Wettstein was conditional, that the only way Dr. Wettstein could testify as to his diagnosis of [appellant] would be to allow the State the opportunity to examine [him].” Appellant made it clear that he submitted to the examination because he felt bound by the trial court's ruling to which he objected. Appellant made it clear that he did not waive any Fifth Amendment rights. Point number eleven claims error and abuse of discretion in requiring that appellant be examined by Dr. Grigson to enable Dr. Wettstein's testimony to be admitted into evidence, because such was a violation of Estelle v. Smith and the Fifth and Sixth Amendments of the United States Constitution. Point twelve likewise claims error in imposing sanctions on appellant, i.e. by not allowing Dr. Wettstein's testimony about his examination, when such sanctions are not set out in the Rules of Criminal Procedure, Rules of Evidence, or applicable caselaw, because such denied him effective assistance of counsel and due process of law guaranteed by the Fourteenth Amendment to the United States Constitution and the Texas Constitution. Point number thirteen alleges error in requiring the Grigson examination in violation of the Fifth and Sixth Amendments of the United States Constitution. Point of error fourteen avers error and abuse of discretion in ordering that Dr. Grigson be allowed to examine appellant, over objection, solely to determine future dangerousness. Obviously all of these points of error concern the trial court's decision with respect to making the admissibility of portions of Dr. Wettstein's proffered testimony contingent upon appellant submitting to an examination by a State-selected expert. The State disputes whether the trial court ever “appointed” Dr. Grigson to do anything, in that it had already named him on its witness list, and that appellant dispensed with the need for an appointment order when he acquiesced to the examination. However, the trial court explicitly stated that it was going to order an examination at the earliest convenience. We find that the trial court did effectively order that appellant submit to an examination by one of the State's proposed experts. The fact that appellant submitted to such does not make it any less of an order from the trial court. Clearly Dr. Grigson conducted his examination of appellant, and appellant submitted thereto, pursuant to an order from the trial court. The State also claims that “[b]y introducing evidence of two psychiatric evaluations, then, [a]ppellant clearly waived his Fifth Amendment rights in the instant case.” It cites language in several United States Supreme Court cases in support of that proposition, specifically Estelle v. Smith, 451 U.S. 454, 101 S.Ct. 1866, 68 L.Ed.2d 359 (1981); Buchanan v. Kentucky, 483 U.S. 402, 107 S.Ct. 2906, 97 L.Ed.2d 336 (1987); and Powell v. Texas, 492 U.S. 680, 109 S.Ct. 3146, 106 L.Ed.2d 551 (1989). Estelle v. Smith involved a defendant's Fifth and Sixth Amendment rights under the United States Constitution being abridged by the State's introduction of psychiatric testimony at punishment because of the failure to administer warnings to that defendant prior to the examination which elicited incriminating statements and the failure to notify defense counsel that the examination would encompass the future dangerousness issue. Estelle v. Smith, supra. In light of the facts in the instant cause not involving any lack of such warnings or notice, Smith is not entirely analogous. However, the State cites language in Smith which states that a criminal defendant, who neither initiates a psychiatric evaluation nor attempts to introduce any psychiatric evidence, may not be compelled to respond to a psychiatrist if his statements can be used against him at a capital sentencing proceeding. Estelle v. Smith, 451 U.S. at 468, 101 S.Ct. at 1876, 68 L.Ed.2d at 372. The State suggests that such language implies that a capital defendant might waive his Fifth Amendment privilege by introducing psychiatric evidence. However, we observe that Smith then indicated that if, after being properly warned, such a defendant refused to answer an examiner's questions, a validly ordered competency examination could proceed but on the condition that the results be applied solely for that purpose; in other words, “the State must make its case on future dangerousness in some other way.” Id. The State also points to language in Buchanan v. Kentucky, 483 U.S. at 422, 107 S.Ct. at 2917, 97 L.Ed.2d at 355, which after discussing language from Smith regarding a defendant asserting an insanity defense and introducing supporting psychiatric testimony, states the logical proposition that if a defendant requests such an evaluation or presents psychiatric evidence, then at the very least, the State may rebut this presentation with evidence from the reports of the examination that the defendant himself requested; i.e. the defendant would have no Fifth Amendment privilege against the introduction of that psychiatric testimony by the prosecution. Again however, it is undisputed that none of the examinations in the instant cause were for the purpose of determining competency or sanity issues. The State also cites Powell, apparently based upon its language suggesting that “it m[ight] be unfair to the State to permit a defendant to use psychiatric testimony without allowing the State a means to rebut that testimony[. ]” Powell v. Texas, 492 U.S. at 685, 109 S.Ct. at 3149, 106 L.Ed.2d at 556. However, the Supreme Court was clearly speaking in the context of a defendant raising a “mental-status defense.” Id. As noted previously, it is undisputed that the examinations in the instant cause were not for the purpose of determining competency or sanity issues; thus, there was no “mental-status” defense raised and the Grigson examination was not ordered as rebuttal to such a defense. Specifically, we observe that such issues were not raised at trial, in that appellant did not present any such evidence at guilt/innocence. Neither of appellant's two punishment expert witnesses, a psychologist and a psychiatrist, raised such issues. We do observe that the transcript contains a “Request For Examination of Defendant” and an “order” granting such. However there is nothing indicating that when or if such examination was conducted it raised any competency or sanity issues. Appellant asserts, and the State does not contradict, that neither competency to stand trial nor sanity at the time of the offense had been raised per Articles 46.02 and 46.03, V.A.C.C.P. Our review of the statement of fact volumes transcribing pretrial hearings also does not reveal that any competency or sanity issues were raised. FN2. We do note that evidence was presented regarding appellant's I.Q. and level of intelligence. However, such certainly was not raising legal insanity or competency to stand trial issues. The Fifth Amendment to the United States Constitution provides, among other things, that “[n]o person ... shall be compelled in any criminal case to be a witness against himself[. ]” U.S. Const., amend. V. It is very well-settled that this protection applies to defendants facing examinations seeking to elicit evidence to prove future dangerousness under Texas capital sentencing procedures. Estelle v. Smith, supra. Thus if appellant's statements made during the Grigson examination were compelled, then the above-quoted Fifth Amendment protection would have been violated in admitting into evidence Dr. Grigson's testimony based upon such statements. Appellant vociferously objected to being ordered to submit to the Grigson examination. He specifically stated that he was acquiescing merely because the trial court was making the admissibility of evidence which he wanted to present be contingent upon submitting to such examination. Appellant insisted, and the trial court acknowledged, that such acquiescence was not waiving his claim of error in being coerced into a position of making such a choice. We note that the United States Supreme Court, admittedly in a different context, has recognized that “an undeniable tension is created” when a defendant must choose between the pursuit of one benefit under the Constitution and the consequent waiver of another. Simmons v. U.S., 390 U.S. 377, 394, 88 S.Ct. 967, 976, 19 L.Ed.2d 1247, 1259 (1968). In Simmons, that defendant (actually named Garrett) had testified at his unsuccessful suppression hearing, whereupon the State thereafter presented that testimony at the trial on the merits. Id. at 389, 88 S.Ct. at 973, 19 L.Ed.2d at 1256. Under those circumstances, the Court said, “[W]e find it intolerable that one constitutional right should have to be surrendered in order to assert another.” Id. at 394, 88 S.Ct. at 976, 19 L.Ed.2d at 1259. The Fifth Amendment privilege “is a bar against compelling ‘communications' or ‘testimony’....” Schmerber v. California, 384 U.S. 757, 764, 86 S.Ct. 1826, 1832, 16 L.Ed.2d 908, 916 (1966). That privilege is fulfilled only when the person is guaranteed the right to remain silent unless he chooses to speak in the unfettered exercise of his own will. Malloy v. Hogan, 378 U.S. 1, 8, 84 S.Ct. 1489, 1493, 12 L.Ed.2d 653, 659 (1964); Miranda v. Arizona, 384 U.S. 436, 460, 86 S.Ct. 1602, 1620, 16 L.Ed.2d 694, 715 (1966). Thus, a defendant has the right to remain silent and not discuss his case with anyone. The Simmons rationale appears analogous in the instant cause. The trial court's requirement, at the State's urging, that appellant submit to the Grigson examination forced him, in effect, to choose between exercising his Fifth Amendment right against self-incrimination and his Sixth Amendment right to effective assistance of counsel. Like the United States Supreme Court, we find such coercion to be intolerable. This Court has specifically held that a trial court does not have the authority to appoint a psychiatrist for the purpose of examining a defendant for evidence relating solely to his future dangerousness, and that doing so was error. Bennett v. State, 742 S.W.2d 664, 671 (Tex.Cr.App.1987), vacated and remanded on other grounds, 486 U.S. 1051, 108 S.Ct. 2815, 100 L.Ed.2d 917 (1988), reaffirmed, 766 S.W.2d 227 (Tex.Cr.App.1989), cert. denied, 492 U.S. 911, 109 S.Ct. 3229, 106 L.Ed.2d 578 (1989). In McKay v. State, 707 S.W.2d 23, 38 (Tex.Cr.App.1985), cert. denied, 479 U.S. 871, 107 S.Ct. 239, 93 L.Ed.2d 164 (1986), this Court affirmed a prosecutor's jury argument at punishment in which he stated that he could not have that defendant examined by a named expert witness just for the purpose of answering that question (apparently referring to one of the special issues), because the law did not allow him to do so. This Court stated that because there was no issue raised to that defendant's competency to stand trial or his sanity at the time of the offense, there was no vehicle by which the State could have had the court appoint a psychiatrist to examine him; i.e. the law did not permit the State to have a psychiatrist appointed for the purpose of examining him for evidence relating solely to his future dangerousness, thus the prosecutor's jury argument was not misstating the law. Id. This Court even added that had that defendant been so examined, he could have prevented the State from using the evidence obtained therefrom by claiming his Fifth Amendment right against self-incrimination per Estelle v. Smith. Id. We also observe certain language by this Court in Hernandez v. State, 805 S.W.2d 409 (Tex.Cr.App.1990), cert. denied, 500 U.S. 960, 111 S.Ct. 2275, 114 L.Ed.2d 726 (1991), which involved that defendant claiming that his Fifth Amendment privilege against self-incrimination had been violated by allowing the State to present at punishment expert testimony based upon a competency examination. This Court approved of the procedures, specifically noting that that expert “was explicitly prohibited from expressing any opinion concerning [that defendant's] future dangerousness based on his examination of [that defendant], and he did not so opine.” (Footnote omitted.) Id. at 412. This Court also noted that that expert's testimony, “while relevant to the issue of future dangerousness, was not a direct assertion of an expert opinion concerning future dangerousness.” (Emphasis in original.) Id. at 413. The record reflects that in the instant cause Dr. Grigson's testimony based upon his examination of appellant did indeed include very direct assertions of his expert opinion concerning appellant's future dangerousness. In light of the above authority, we conclude that the trial court's action in making the admissibility of portions of Dr. Wettstein's proffered testimony contingent upon appellant submitting to an examination by a State-selected expert was erroneous and such violated the Sixth Amendment to the United States Constitution. And under these circumstances the admission of Dr. Grigson's testimony based upon his examination of appellant violated appellant's Fifth Amendment right against self-incrimination. Finding such error we must conduct a harm analysis. Satterwhite v. Texas, 486 U.S. 249, 108 S.Ct. 1792, 100 L.Ed.2d 284 (1988); Bennett v. State, 742 S.W.2d at 671; Tex.R.App.Pro. 81(b)(2). Chapman v. California, 386 U.S. 18, 87 S.Ct. 824, 17 L.Ed.2d 705 (1967) provides the initial basis for analyzing error and determining whether such was harmless. We have said that our own Tex.R.App.Pro. 81(b)(2) is the Texas codification of Chapman. Cook v. State, 821 S.W.2d 600, 605 (Tex.Cr.App.1991), cert. denied, 503 U.S. 998, 112 S.Ct. 1705, 118 L.Ed.2d 413 (1992). Rule 81(b)(2) mandates that we reverse the judgment under review unless we determine beyond a reasonable doubt that the error made no contribution to the conviction or to the punishment. As the error in the instant cause only arose at punishment, we shall limit our attention to its contribution at that stage, i.e. in the jury's answering of the special issues. It is well-settled that in answering the special issues the jury may consider all of the evidence adduced at the guilt stage. Miniel v. State, 831 S.W.2d 310, 322 (Tex.Cr.App.1992), cert. denied, 506 U.S. 885, 113 S.Ct. 245, 121 L.Ed.2d 178 (1992); Fuller v. State, 827 S.W.2d 919, 934 (Tex.Cr.App.1992). Therefore we shall likewise consider the evidence adduced at guilt/innocence in analyzing the harm at punishment. In Harris v. State, 790 S.W.2d 568 (Tex.Cr.App.1989), this Court articulated a coherent standard for determining when an error is harmless. We do not determine harmlessness simply by examining whether there exists overwhelming evidence to support the verdict, but rather calculate as much as is possible the probable impact of the error on the jury in light of the existence of the other evidence. Id. at 587. “A procedure for reaching this determination should: first, isolate the error and all its effects, using the considerations set out above and any other considerations suggested by the facts of an individual case; and second, ask whether a rational trier of fact might have reached a different result if the error and its effects had not resulted.” Id. at 588. In performing the isolating analysis, we examine the source and nature of the error, whether or to what extent it was emphasized by the State, its probable collateral implications, and consider how much weight a juror would probably place upon the error and determine whether declaring it harmless would encourage the State to repeat it with impunity. Id. at 587. Dr. Grigson indicated that his examination lasted 90 minutes. He testified that he questioned appellant about the particulars of the instant offense and appellant's reactions to the judicial proceedings, including jury selection. He stated that approximately one hour and fifteen or twenty minutes of the examination “was entirely devoted to the crime itself in terms of [appellant's] behavior before the crime, ... during the crime, and ... after the crime [,] with maybe five ... [or] ten minutes ... going into [appellant's] prior record.” Dr. Grigson testified in detail about what appellant had related regarding the reasons for the killing, including that appellant had shot the decedent again while on the floor. He also testified to appellant's explanation of having bought the murder weapon off the street for $25.00. Dr. Grigson testified that he inquired as to the disposition of the murder weapon, but that appellant specifically refused to reveal its whereabouts. Dr. Grigson insisted that such indicated that “obviously, th[at] gun was evidence in something else[,]” i.e. another criminal offense. He indicated that the fact that appellant would not reveal the whereabouts of the gun was extremely important. Dr. Grigson also testified about what appellant had told him about prior criminal arrests and convictions, and problems adjusting in prison. He also indicated that he had confronted appellant with the belief that this was not the first time that appellant had killed, though appellant disputed that. When specifically asked about the future dangerousness special issue, Dr. Grigson testified that he had gleaned an opinion based upon the examination, reviewing some evidence and being made aware of appellant's past history records, and comparing appellant with other individuals that he had examined. Based upon those factors, Dr. Grigson opined that appellant would commit future criminal acts of violence. He further opined that appellant “very definitely presents a very serious threat to any society that he's in.” He added that in his opinion appellant was “one of the most dangerous killers that [he'd] examined or ha[d] come in contact with.” At the end of the State's direct examination, Dr. Grigson reiterated that he “ha[d] absolutely no doubt whatsoever ... [and] [he] c[ould] guarantee ... [that appellant] w[ould] commit continuing acts in the future, distant and far.” Dr. Grigson clearly stated that his opinions were at least partially based upon the various things that appellant had told him during the examination. The State also presented expert psychiatric testimony from Dr. Rennebohm. He testified that he had never examined appellant, but rather expressed opinions in response to a rather lengthy hypothetical question. His opinion was that the person described in the hypothetical had a sociopathic personality disorder. He added that such a person would be counted as “high level sociopathy, severe antisocial attitude.” He indicated that the prospects for change in such person was almost nonexistent. He also explicitly opined that the subject of the hypothetical “would constitute significant hazard or a threat to others in a confinement situation.” He did not expect the person in the hypothetical to diminish in danger. As noted initially, the instant offense involved the armed robbery of a grocery/convenience store in which a store security guard was shot to death. We have reviewed the evidence at guilt/innocence, including appellant's confession and the videotape which confirmed the confession. At punishment the State also presented testimony from a former jail inmate to whom appellant had offered money to have one of the witnesses killed, and indicated that he had committed multiple robberies and had acquired such money. That former inmate testified that killing the witness had initially been discussed when he was in jail with appellant, but that appellant then called him again making such offer after he had gotten out. He also testified that appellant had laughed about having taken some necklaces from other inmates. The State also presented evidence of appellant's prior convictions for burglary of a building and robbery. There was also evidence of various disciplinary violations which he had had in prison. Several witnesses testified as to appellant's bad reputation. There was also testimony about him committing several offenses, including various traffic violations, pulling a knife on a person interceding during a theft, breaking into a school and stealing food, and twice turning up inside a neighbor's house, apparently uninvited, in the middle of the night. Various people from the juvenile and adult probation system, and from the prison and parole systems, testified about appellant. As discussed above pursuant to Harris, supra, we must first isolate the error and all its effects. The nature of the error in the instant cause was erroneously requiring appellant to submit to the Grigson examination in order to present his testimony based upon the Wettstein examination. This resulted in Dr. Grigson's testimony based upon his examination. The source of the error was the State managing to convince the trial court to make the admissibility of appellant's evidence from the Wettstein examination contingent upon his submitting to the Grigson examination. As the evidence was very much focused upon the punishment special issues, we do not perceive any probable collateral implications. Dr. Grigson was the very last witness to testify. Both the State and appellant immediately thereafter rested and closed. The State's opening argument at punishment did not mention Dr. Grigson's testimony. The State's closing argument only briefly discussed his testimony. The prosecutor stated that Dr. Grigson is “a very strongly opinionated man” and suggested that if the jury wanted to disagree with him, then it could throw his opinions out. However, the prosecutor reminded them that even in disregarding Dr. Grigson's opinions, it could not disregard the facts. As noted above, the State did not place heavy emphasis upon Dr. Grigson's testimony during the punishment jury argument. Nevertheless, as the prosecutor himself observed, Dr. Grigson expressed some extremely strong opinions regarding appellant. Dr. Grigson's experience and expertise was also made very clear to the jury when he testified. As noted previously, he was the last witness to testify, and there was a very powerful content to his message. In light of such, including the strength and adamancy of the testimony, it is probable that the jury likely placed great weight on Dr. Grigson's testimony. A finding that this error is harmless might encourage the State to repeat it with anticipated impunity, or at least not discourage the repetition of such. Though we think it likely that prosecutors will henceforth be aware of the danger of coercing a defendant to submit to an examination in the capital murder punishment setting, declaring such error harmless might be misinterpreted as tacit approval of such by this Court. Such an interpretation might very well lead to repetition of the error. FN3. We note that while Satterwhite involved a violation of the 6th Amendment's right to assistance of counsel, rather than the Fifth Amendment's self-incrimination protections, such error resulted in Dr. Grigson's testimony being improperly admitted into evidence as in the instant cause. Thus the United States Supreme Court's discussion and treatment of harm is analogous. After reviewing the record in the instant cause and applying the above-described Harris analysis, and being guided as we must by the United States Supreme Court, we likewise find it impossible to conclude, beyond a reasonable doubt, that Dr. Grigson's expert testimony on the issue of appellant's future dangerousness did not contribute to the jury's answering of the future dangerousness special issue at punishment. Cook v. State, 821 S.W.2d at 605; Wilkens v. State, 847 S.W.2d 547, 554 (Tex.Cr.App.1992). A rational trier of fact might have reached a different result if the error and its effects had not occurred. Accordingly, because no separate punishment hearing is authorized for error occurring at the punishment stage of a capital murder trial, appellant's conviction is reversed and the cause remanded to the trial court. Satterwhite v. State, 759 S.W.2d 436 (Tex.Cr.App.1988). FN4. We note that Article 44.29(c), V.A.C.C.P. now provides for a new punishment hearing alone when a capital murder conviction is reversed due to error affecting punishment only. However, that Act provided that this change only applies to offenses committed on or after September 1, 1991. As previously noted, the instant offense was committed on December 29, 1988. CLINTON, J., not fully satisfied that the competing constitutional right has been correctly identified, joins only the judgment of the Court. Today, a majority of this Court concludes that appellant should be granted relief based upon grounds that I believe to be bereft of merit. Therefore, I cannot agree with the rationale of the majority. During the punishment phase of the trial, the State introduced the testimony of Dr. John Rennebohm. Rennebohm never examined appellant, but testified in reference to a hypothetical situation that encompassed the facts of this case. From that hypothetical situation, Rennebohm concluded that the person described was a sociopath who had almost no realistic chances for improvement. After Rennebohm concluded his testimony, appellant called Dr. Robert Wettstein as a witness. The State requested and received a hearing outside of the presence of the jury. At that hearing, the trial judge decided that Wettstein could testify about the inaccurate nature of predictions of future dangerousness, but could not testify about anything he had learned about appellant from examining appellant. After numerous objections and arguments,FN1 the State and appellant agreed to let Wettstein testify about what he had learned from examining appellant in exchange for appellant submitting to an examination by Dr. James Grigson, with Wettstein in attendance. Appellant made it known that he agreed to this compromise only because the trial court was going to limit Wettstein's testimony otherwise. FN1. The State argued against permitting Wettstein to testify about anything he had learned from examining appellant because the State had not been allowed to examine appellant. Appellant objected and prolonged discussions followed. At trial, Wettstein testified during the punishment phase. During cross-examination, the prosecutor elicited responses from Wettstein concerning what appellant had said to Wettstein during Wettstein's evaluation of appellant. Wettstein answered questions regarding what appellant had said about the commission of the crime. Appellant lodged no objections to Wettstein's testimony or to the State's questions regarding what appellant had said to Wettstein concerning the commission of the offense. The State also placed into evidence, without objection from the appellant, the notes Wettstein had taken during his evaluation of appellant. These notes also contained statements that appellant had made to Wettstein about the commission of the offense. The State offered Grigson's testimony in rebuttal to that of Wettstein. At the outset, the majority relies upon Bennett v. State, 742 S.W.2d 664 (Tex.Cr.App.1987). While this Court did state that the “trial court does not ... have the authority to appoint a psychiatrist for the purpose of examining a defendant for evidence relating solely to his future dangerousness,” 742 S.W.2d at 671, I do not find the Bennett case dispositive. In Bennett, the appellant had already been examined concerning his sanity. The State requested that another exam be conducted by Grigson because the first psychiatrist was unavailable to testify. That is not the situation facing the Court in this case. Here, appellant was trying to put on evidence in support of the proposition that he did not constitute a threat of future dangerousness. The State offered Grigson's testimony in rebuttal to that of Wettstein. Therefore, other than for the proposition above quoted, the holding in Bennett is useless. The majority, relying upon Estelle v. Smith, 451 U.S. 454, 101 S.Ct. 1866, 68 L.Ed.2d 359 (1981), then concludes that the trial court erred in allowing Wettstein to testify on the condition that appellant be required to submit to an evaluation by a psychiatrist chosen by the State (Dr. Grigson). The facts underlying Smith, however, differ materially from those involved in this case. In Smith, as in Bennett, the defendant had introduced no psychiatric evidence and had given no indication that he intended to do so. Id. 451 U.S. at 466, 101 S.Ct. at 1874. Also, the defendant submitted to an examination by the State's psychiatrist, Dr. Grigson, without being warned of his Fifth Amendment rights. Id. at 467, 101 S.Ct. at 1875. In Smith “the State offered information obtained from the court-ordered competency examination as affirmative evidence to persuade the jury to return a sentence of death.” Id. (Emphasis added). In this case, the State was allowed to examine appellant because appellant was going to introduce Wettstein's testimony that future dangerousness could not be accurately predicted. The trial court's actions in this regard are in no way violative of the Supreme Court opinion in Smith. There, the Supreme Court expressly wrote that [w]hen a defendant asserts the insanity defense FN2 and introduces supporting psychiatric testimony, his silence may deprive the State of the only effective means it has of controverting his proof on an issue that he interjected into the case. Accordingly, several Courts of Appeals have held that, under such circumstances, a defendant can be required to submit to a sanity examination conducted by the prosecution's psychiatrist. See, e.g., United States v. Cohen, 530 F.2d 43, 47–48 (CA5), cert. denied, 429 U.S. 855, 97 S.Ct. 149, 50 L.Ed.2d 130 (1976); Karstetter v. Cardwell, 526 F.2d 1144, 1145 (CA9 1975); United States v. Bohle, 445 F.2d 54, 66–67 (CA7 1971); United States v. Weiser, 428 F.2d 932, 936 (CA2 1969), cert. denied, 402 U.S. 949, 91 S.Ct. 1606, 29 L.Ed.2d 119 (1971); United States v. Albright, 388 F.2d 719, 724–725 (CA4 1968); Pope v. United States, 372 F.2d 710, 720–721 (CA8 1967) (en banc), vacated and remanded on other grounds, 392 U.S. 651, 88 S.Ct. 2145, 20 L.Ed.2d 1317 (1968). FN2. The majority seems to see some kind of difference between whether a defendant advances a mental-status defense to the entire prosecution (i.e. insanity or incompetency) or adduces some kind of defensive evidence for a more limited purpose (i.e. to prove only that the defendant does not constitute a future danger). In my view, this is an arbitrary distinction. As I understand the role of psychiatric testing, there is not some specialized exam for sanity or competency as opposed to another specialized exam for future dangerousness. There is certainly no evidence in the record to indicate that different types of tests are administered for determining sanity or competency as opposed to determining likelihood of future dangerousness. See Diagnostic and Statistical Manual of Mental Disorders (Third Ed.—Revised, 1987) pp. 15–16 wherein it is explained that [e]ach person is evaluated on each of these axes: Axis I Clinical Syndromes and V Codes Axis II Developmental Disorders and Personality Disorders Axis III Physical Disorders and Conditions Axis IV Severity of Psychosocial Stressors Axis V Global Assessment of Functioning. Id. 451 U.S. at 463, 101 S.Ct. at 1874. (footnote omitted). The decision in United States v. Cohen, supra, cited in Smith, was discussed by a panel of the Fifth Circuit Court of Appeals in Battie v. Estelle, 655 F.2d 692, 701 (5th Cir.1981). The panel in Battie noted how the prosecution in Cohen had introduced the results of a court-ordered psychiatric examination only after the defense had introduced psychiatric testimony to raise a mental-status defense. Battie, 655 F.2d at 701. By introducing psychiatric testimony, the defendant had waived his Fifth Amendment privilege in the same manner as would the defendant who elected to testify at trial. Id. at 701–702. The rationale underlying this conclusion of waiver was that “[b]y introducing psychiatric testimony obtained by the defense from a psychiatric examination of the defendant, the defense constructively puts the defendant himself on the stand and therefore the defendant is subject to psychiatric examination by the State in the same manner.” Id. at 702 n. 22. See also Pope v. United States, 372 F.2d 710 (8th Cir.1967). While the facts previously outlined strongly indicate, at the very least, an “implied” Fifth Amendment waiver, there is additionally a strong indication of an express waiver on the part of appellant. Appellant lodged no objections when the State elicited responses from Wettstein concerning what appellant said in regard to the circumstances of the offense. Wettstein's notes containing appellant's statements were admitted without objection by appellant. Therefore, the testimonial nature of appellant's statements to his own witness were before the jury in a way totally unconnected to the testimony of Grigson. Moreover, the State elicited this testimony from Wettstein before Grigson even took the witness stand. Appellant's objection to being subjected to an examination by Grigson is unrelated in any way to appellant's failure to object to the testimonial aspects of his examination by Wettstein, about which Wettstein testified. Therefore, appellant waived any Fifth Amendment claim of privilege because his failure to object to his own witness' testimony about the offense constructively placed appellant himself on the witness stand. See Battie v. Estelle, 655 F.2d 692, 702 n. 22 (5th Cir.1981). FN3. In Buchanan, the Supreme Court distinguished its prior holding in Smith. The Supreme Court explained that the State's conduct in Smith had violated the petitioner's Fifth Amendment rights because Grigson's prognosis of future dangerousness “was not based simply on his observations of the defendant, but on detailed descriptions of Smith's [the defendant] statements about the underlying crime.” Buchanan, 483 U.S. at 421, 107 S.Ct. at 2916. (Emphasis in original). This fact rendered Smith's comments to Grigson “testimonial in nature” and made Grigson's conduct in testifying about those comments “essentially like that of an agent for the State recounting unwarned statements in a postarrest custodial setting.” Id. at 422, 107 S.Ct. at 2917. Since Smith had not been warned of his Miranda rights prior to being examined, Grigson's testimony constituted a violation of Smith's Fifth Amendment rights. Id. As an aside, we also note that in Smith, the Supreme Court found a Sixth Amendment violation. No such violation, however, is alleged in this case. if a defendant requests such an evaluation [i.e. a sanity evaluation] or presents psychiatric evidence, then, at the very least, the prosecution may rebut this presentation with evidence from the reports of the examination that the defendant requested. Id. at 422–423, 107 S.Ct. at 2917–18. It is probably not a coincidence that, in Buchanan, the Supreme Court cited to United States v. Byers, 740 F.2d 1104 (D.C.Cir.1984) in reaching its decision. In Byers, and to a lesser degree in Pope, supra, the issue was framed in terms of “the process of determining where the right to remain silent ends and the society's need to require testimony begins.” Byers, 740 F.2d at 1114. As was so eloquently stated in Brown v. United States, 356 U.S. 148, 155–156, 78 S.Ct. 622, 626–627, 2 L.Ed.2d 589 (1958), which was quoted in Byers, a defendant cannot reasonably claim that the Fifth Amendment gives him not only this choice [whether to testify or not] but, if he elects to testify, an immunity from cross-examination on the matters he has himself put in dispute. It would make of the Fifth Amendment not only a humane safeguard against judicially coerced self-disclosure but a positive invitation to mutilate the truth a party offers to tell.... The interests of the other party and regard for the function of the courts of justice to ascertain the truth become relevant, and prevail in the balance of considerations determining the scope and limits of the privilege against self-incrimination. Byers, 740 F.2d at 1114. The question remaining is whether the Buchanan decision should be extended to a psychiatric evaluation performed for the purpose of rebutting a defendant's claim regarding future dangerousness. As I explained in footnote two, I see no distinction between compelling a defendant to submit to a mental-status examination as opposed to an examination pertaining to future dangerousness, and the arguments advanced in Byers, Buchanan, and Brown well support this notion. And I believe that this strikes at the heart of the majority's thesis—that since no mental-status examination was involved, Buchanan does not apply. This premise misses the entire rationale explicated in Buchanan, Byers, and Brown. It is not the nature or name of the psychiatric test involved that is important. The only inquiry is whether the Fifth Amendment privilege is applicable. Under the facts of this case, it is obvious 1) that appellant expressly waived his privilege and 2) that the public policy dictates of Buchanan apply to the proffer of evidence pertaining to future dangerousness. Based upon my belief that the trial court's actions constituted no error, I would overrule appellant's points of error eleven through fourteen. The majority fails to so conclude, and, therefore I dissent. McCORMICK, P.J., and WHITE and MEYERS, JJ., join. Petitioner, Gayland Bradford, is an inmate in the custody of the Texas Department of Criminal Justice, Institutional Division (TDCJ-ID). Respondent, Janie Cockrell, is the Director of TDCJ-ID. A jury convicted Petitioner of capital murder, and his punishment was assessed at death by lethal injection. State v. Bradford, Cause No. F89-76496-R (265th Dist. Ct., Dallas County, Tex. May 10, 1995). It was the second time that Petitioner had been tried, convicted, and sentenced to death for such offense. FN1 His present conviction and death sentence were affirmed on direct appeal, Bradford v. State, No. 72,163 (Tex.Crim.App. Feb. 17, 1995) (unpublished), and his petition for writ of certiorari in the Supreme Court was denied. Bradford v. Texas, 528 U.S. 950, 120 S.Ct. 371, 145 L.Ed.2d 289 (1999). FN1. Petitioner's original conviction was reversed by the Court of Criminal Appeals on direct appeal and remanded for a new trial. Bradford v. State, 873 S.W.2d 15 (Tex.Crim.App.1993). Petitioner subsequently filed a state application for writ of habeas corpus on June 8, 1999. (State Habeas Record, hereinafter “SHR”, pp. 2-16.) The trial court entered findings of fact and conclusions of law and recommended that relief be denied. Ex parte Bradford, No. W89-76496-R(A) (265th Dist. Ct., Dallas County, Tex. Nov. 17, 1999); (SHR, pp. 22-44.) The Court of Criminal Appeals held that those findings of fact and conclusions of law were supported by the record and upon such basis denied relief in a written order. Ex parte Bradford, App. No. 44,526-01 (Tex.Crim.App. Mar. 8, 2000)(unpublished). Petitioner filed his federal petition for writ of habeas corpus on December 14, 2001. Respondent filed an answer on April 8, 2002, and furnished the state court records. Petitioner filed an additional application for authorization of funds for expert assistance on April 11, 2002 and a response to the answer on June 3, 2002. On June 20, 2002, the Supreme Court held in Atkins v. Virginia, 536 U.S. 304, 122 S.Ct. 2242, 153 L.Ed.2d 335 (2002) that the execution of the mentally retarded constitutes cruel and unusual punishment in violation of the Eighth Amendment. In response to this decision, Petitioner requests funds for expert assistance to develop his claim that he is mentally retarded and Respondent moves (1) for the dismissal of Petitioner's claim under Atkins and the denial of all other claims in the petition, and alternatively (2) for the dismissal of all claims in this petition. In her answer, Respondent stated that Petitioner completely failed to exhaust all of his state court remedies pursuant to 28 U.S .C. § 2254(b), (c) and has no way to now exhaust his claim since under state law, he would be barred from returning to state court to file a successive habeas application. As a result, Respondent originally argued in her answer that all of Petitioner's claims are barred because of procedural default. However, in light of the Supreme Court's recent decision in Atkins, Respondent has conceded that Bradford may now present his Atkins claim to the state court in accordance with state law. See Tex.Code Crim. Proc. art. 11.071 § 5 (West 2001). FN2. Petitioner's first through third claims for habeas corpus relief. FN3. Petitioner's fourth claim for habeas corpus relief. FN4. Petitioner's fifth claim for habeas corpus relief. FN5. Petitioner's sixth claim for habeas corpus relief. Before addressing the merits of these claims, this Court must resolve a number of preliminary matters, particularly concerning the investigation and development of Petitioner's Atkins claim (that his execution would constitute cruel and unusual punishment because he is mentally retarded). Petitioner does not contest Respondent's claim that he did not exhaust this or the other grounds raised in his petition by first presenting them to the highest state court. However, he contends that further action in this Court is necessary because no state corrective process presently exists which is adequate to protect his newly-acquired rights under Atkins. Therefore, this Court must determine what investigation and development of this claim are appropriate in this Court, or if this cause should instead be stayed or dismissed so that Petitioner can first develop this claim in state court. The exhaustion doctrine is not jurisdictional but is instead based in comity. See Rose v. Lundy, 455 U.S. 509, 516, 102 S.Ct. 1198, 1202, 71 L.Ed.2d 379 (1982). “State courts, like federal courts, are obliged to enforce federal law. Comity thus dictates that when a prisoner alleges that his continued confinement for a state court conviction violates federal law, the state courts should have the first opportunity to review this claim and provide any necessary relief.” O'Sullivan, 526 U.S. at 844. For this reason, normally “a district court must dismiss habeas petitions containing both unexhausted and exhausted claims.” Rose, 455 U.S. at 522. But if an unexhausted claim lacks merit, a district court may choose to deny it and finally resolve the matter, rather than dismiss it in favor of further state court action. See 28 U . S.C. § 2254(b)(2). At the time his petition for federal habeas corpus relief was filed, Petitioner's alleged mental retardation would not have constituted a basis for federal habeas-corpus relief. It was not until the Supreme Court's decision in Atkins on June 20, 2002, that the execution of the mentally retarded was held to constitute cruel and unusual punishment in violation of the Eighth Amendment. Therefore, he cannot be faulted for failing to make this claim at the time of his state-court proceedings. Nevertheless, the manner in which such claims should be handled in the federal courts is far from clear. FN6. The Fifth Circuit Court of Appeals characterized the period following Atkins as exhibiting a “welter of uncertainty.” Bell v. Cockrell, 310 F.3d 330, 2002 WL 31320536 at *2 (5th Cir.2002). Respondent's initial motion would involve a separation of these claims and require this Court to conduct a careful evaluation of any exceptions to the procedural bar asserted by Respondent in federal court. During such time, Petitioner's limitations period for returning to federal court on his Atkins claim would not be tolled. This Court concludes that the alternate motion is more appropriate under the present circumstances of this case. In connection with her alternative motion, Respondent has made some important concessions. She has acknowledged that Texas law will permit Bradford an successive state habeas application in order to develop his Atkins claim (Response filed October 30, 2002, pp. 5-6), and she has also stated to this Court that “in light of the unique circumstances of this case, the Director would waive any limitations defense with respect to Bradford's remaining claims provided that those claims were re-filed within the time frame allotted by [28 U.S.C.] § 2244(d)(1)(C) for presenting his Atkins claim.” FN7 ( Id. at p. 3, n. 2.) In light of these concessions, the Court concludes that the entire petition herein should be dismissed without prejudice. FN7. This allows Petitioner to file his Atkins claim in federal court within one year from June 20, 2002, which is “the date on which the constitutional right asserted was initially recognized by the Supreme Court, if the right has been newly recognized by the Supreme Court and made retroactively applicable to cases on collateral review.” 28 U.S.C. § 2244(d)(1)(C). Such time period is tolled while “a properly filed application for State post-conviction or other collateral review with respect to the pertinent judgment or claim is pending.” 28 U.S.C. § 2244(d)(2). This tolling provision does not include a delay in federal court action before this claim may be dismissed in favor of further proceedings in state court. Therefore, any further delay in this Court will reduce the time that Petitioner has to exhaust his state court remedies and then get any future petition on this claim filed in federal court. The Supreme Court neither conclusively defined mental retardation nor provided guidance on how its ruling should be applied to prisoners already convicted of capital murder. Instead, the Court held, Not all people who claim to be mentally retarded will be so impaired as to fall within the range of mentally retarded offenders about whom there is a national consensus. As was our approach in Ford v. Wainwright, with regard to insanity, ‘we leave to the State[s] the task of developing appropriate ways to enforce the constitutional restriction upon its execution of sentences.’ 477 U.S. 399, 405, 416-17, 106 S.Ct. 2595, 91 L.Ed.2d 335 (1986). Atkins, 122 S.Ct. at 2250. In these circumstances, inferior federal courts have no useful role to play until and unless following Atkins, a death sentence is reaffirmed or again imposed on Bell by the state courts. Just how the state courts will implement Atkins, we cannot say. Clearly, however, the state must be given the first opportunity to apply the Supreme Court's holding in order to insure consistency among state institutions and procedures and to adjust its prosecutorial strategy to the hitherto unforeseen new rule. Bell v. Cockrell, 310 F.3d 330, 2002 WL 31320536 at *2 (5th Cir.2002). Such holding should apply with even greater force to such a claim that had never been presented to the state courts. See Smith v. Cockrell, 311 F.3d 661, 2002 WL 31447742 (5th Cir.2002)(declining to usurp the state's position by considering such unexhausted claim.) Clearly, this Court should dismiss this petition without prejudice due to this unexhausted claim. FN9. Petitioner has an understandable concern for the proper development of his claim. His brief presents a disturbing scenario as shown, in part, by the following excerpt:If this Court were to dismiss petitioner's current proceedings prior to the authorization of funds for an evaluation, he would be left with only the potential claim of mental retardation that he could not develop in the state courts. Without a current expert opinion that petitioner is mentally retarded, it is likely his attempt to exhaust the claim would be rejected by the Texas courts....Upon dismissal of his claim, petitioner would have to file a successive application for a writ of habeas corpus pursuant to Tex.Code Crim. Proc. art. 11.071 § 5. This application would be filed in the trial court, but would immediately be referred to the Texas Court of Criminal Appeals to determine if the application meets the strict requirements of a successive application under art. 11.071 § 5. Thus, petitioner would be unable to obtain the expert evaluation necessary to establish a viable claim of mental retardation. (Footnote omitted.) (Petitioner's Brief, p. 3.) He then includes examples of state court precedent involving similar claims, indicating the need for such expert evaluation in order to avoid a summary denial of relief in state court. However, this Court is unwilling to conclude in advance that the state courts will refuse to develop appropriate ways to enforce this constitutional restriction upon its execution of death sentences. See Atkins, 122 S.Ct. at 2250. Even so, this does not preclude a subsequent review in this Court. Once a state has first addressed this question, federal courts retain the power to determine if the manner in which it has resolved such a claim comports with the requirements of due process. See, e.g., Ford, 477 U.S. at 405. Therefore, the petition for a writ of habeas corpus filed by Gayland Bradford in this cause should be dismissed without prejudice to the refiling of same. Petitioner has failed to exhaust state court remedies on each of the claims made in his petition for writ of habeas corpus. In light of the recent Supreme Court decision in Atkins v. Virginia, Respondent has made important concessions before this Court and it appears that further proceedings in this Court on such claims are not appropriate at this time. Therefore, Respondent's alternative motion to dismiss all of the claims contained in Petitioner's petition for a writ of habeas corpus should granted, and such petition should be DISMISSED without prejudice to the refiling of same after Petitioner has exhausted the remedies that may be available to him in the courts of the State of Texas.